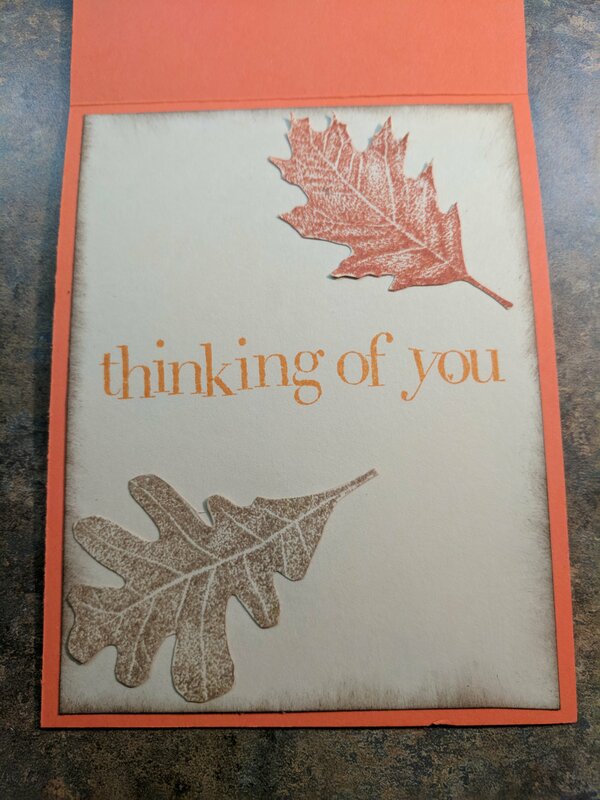 I created this card last week for a co-worker of my husband that lost his brother. What an awful thing and so hard to know what to say. Family is the most important thing in our lives and we are reminded to cherish all the little moments we can. 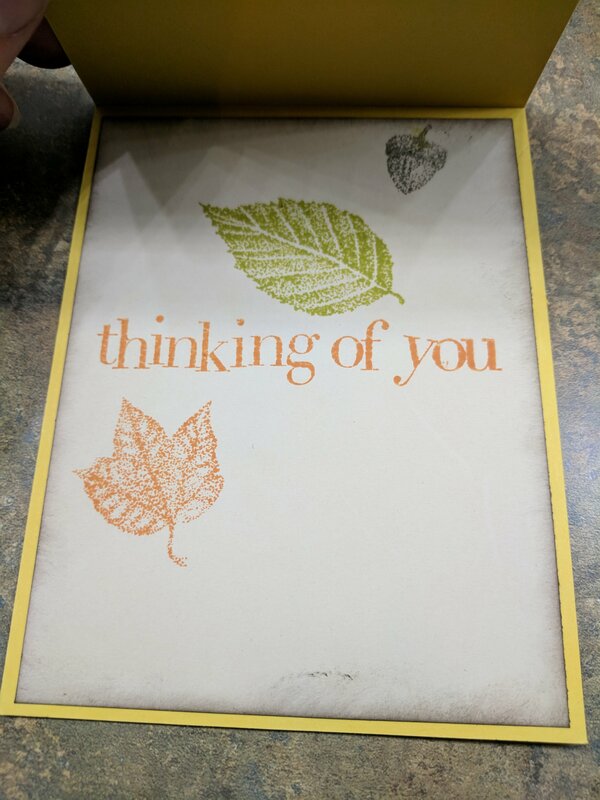 This is the original card I made. 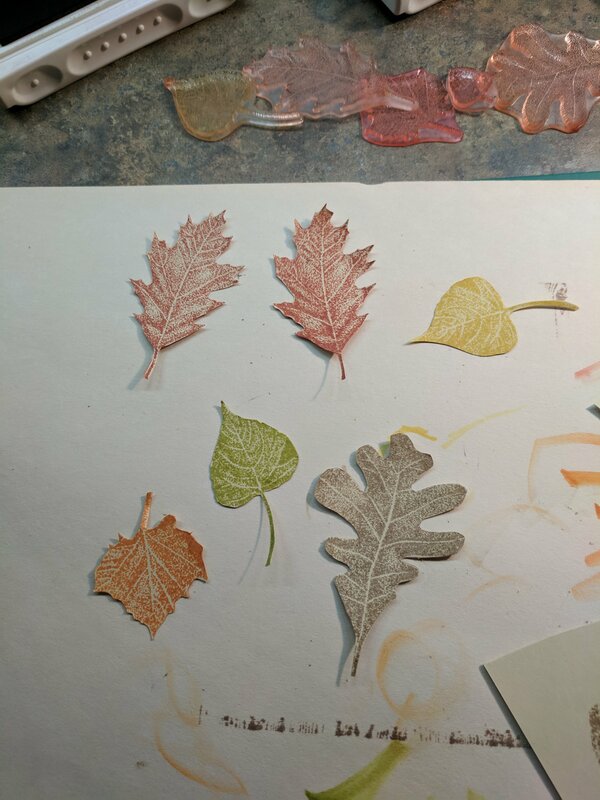 I changed a few things when I recreated it to put here. 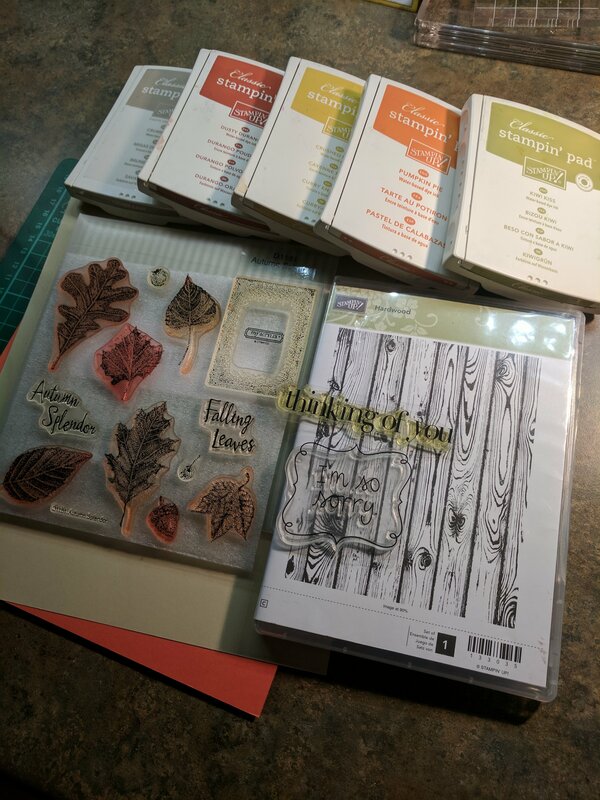 Getting started…I chose some fall coulored inks and paper. 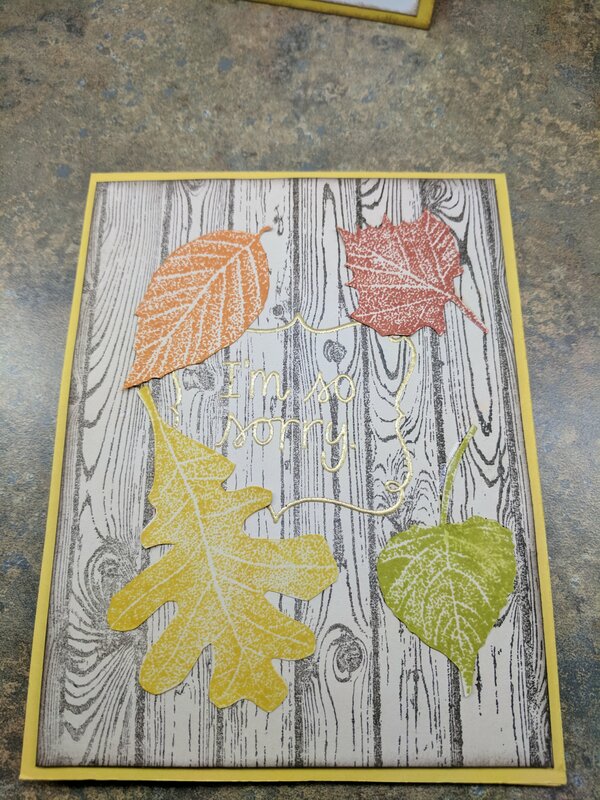 I chose a woodgrain stamp from Stampin up and a set called Autumn Splendor by close to my heart. 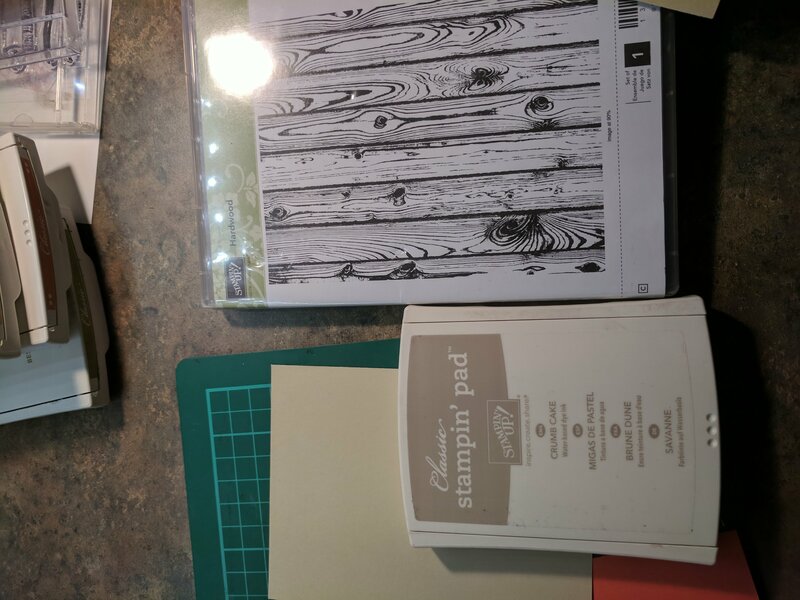 I cut my paper top folding 4.25×5.5 and the two tan pieces 4×5.25. 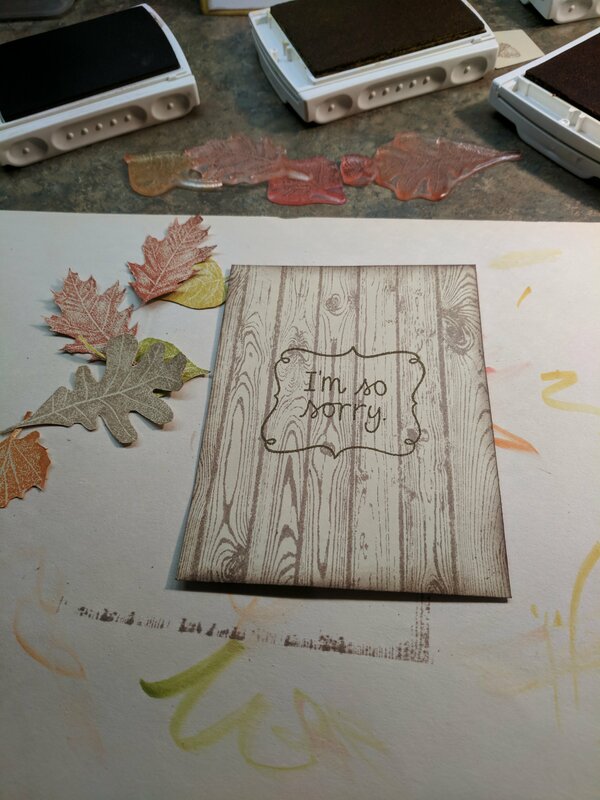 I stamped the woodgrain stamp on the outside piece and distressed the edges in Crumb cake by stampin up. 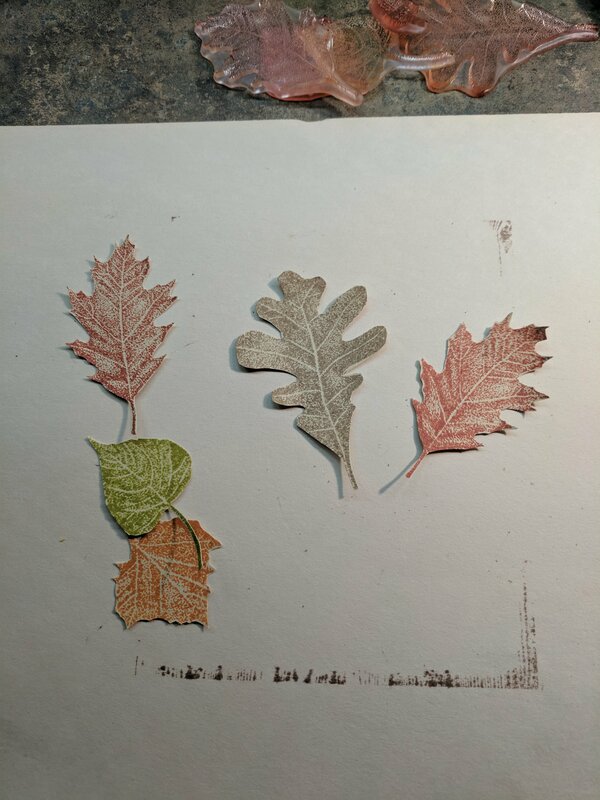 I stamped the leaves and fussy cut them. 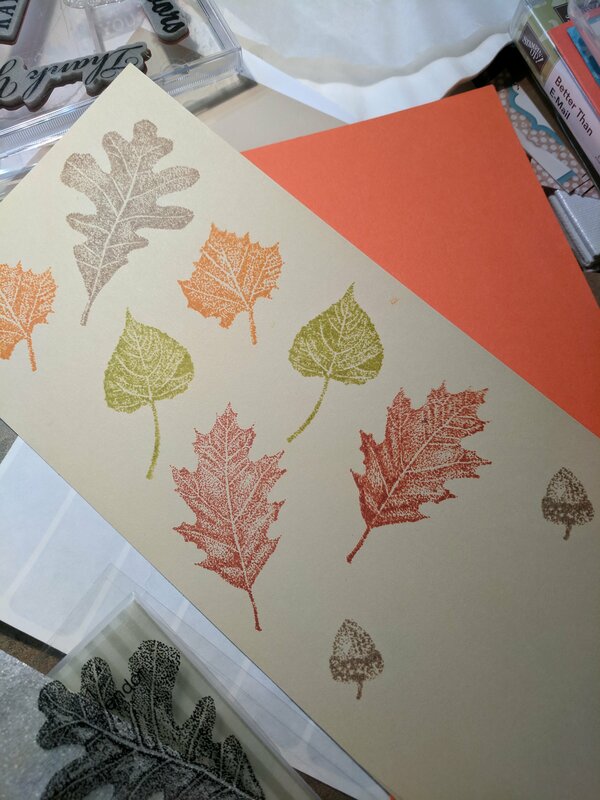 I then took a blend pen and matched the inks and went around the edges of the leaves. It makes quite a difference in how the pops. 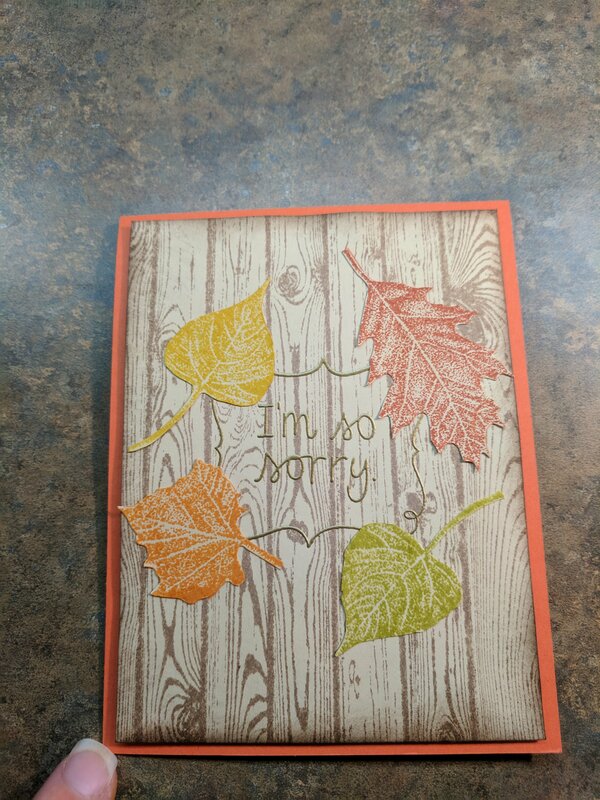 I embossed the front of the card with a stamp saying I’m so sorry in gold. 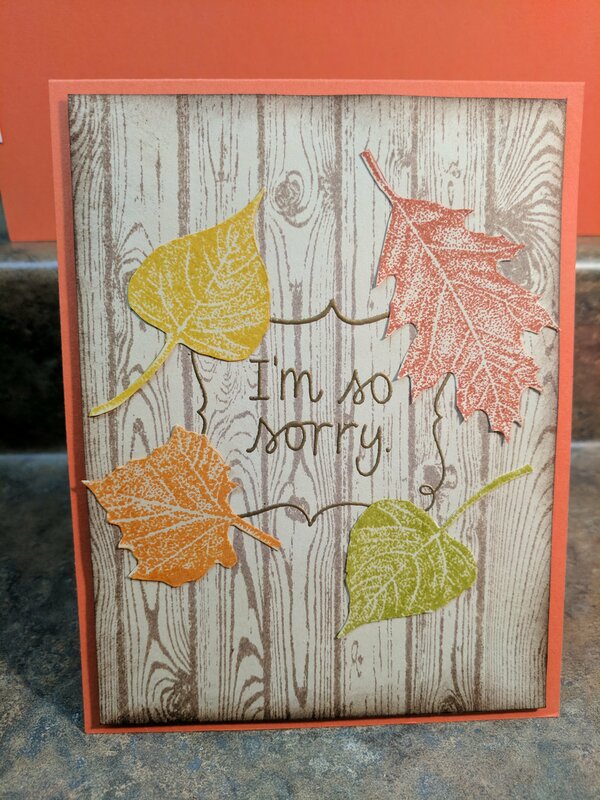 I heat set it and glued my leaves to the front of the card. 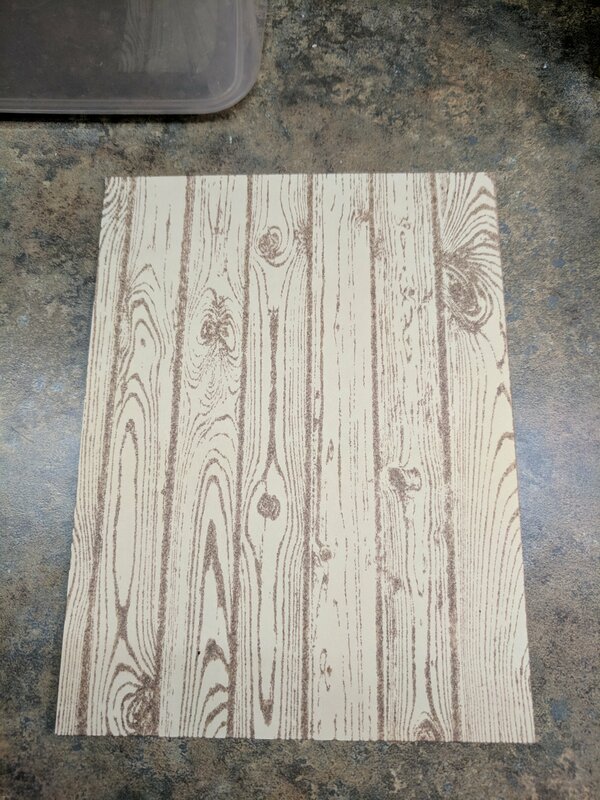 I used foam tape to put it together and then finished the inside. < Previous Let’s get hitched! Next > Crazy for cats!